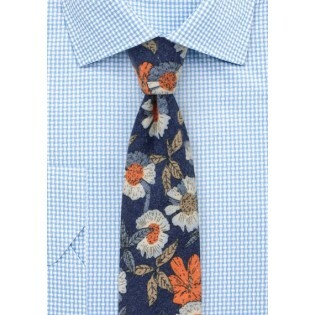 This unusual floral print tie stands out not only because of the large scale poppy floral print in white, light blue, and orange on a classic navy background, but perhaps even more so thanks to the matte flannel texture of the finest cotton fabric. 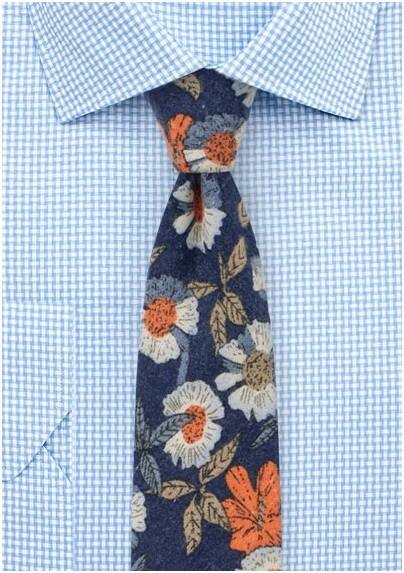 A great tie for summer and Fall to add to suits in gray, brown, olive, and dark navy. Handmade by designer blackbring with digitally printed flannel cotton fabric.